Zoho Recruit offers an easy-to-use interface that will help you source candidates, communicate with clients, and keep track of important information. 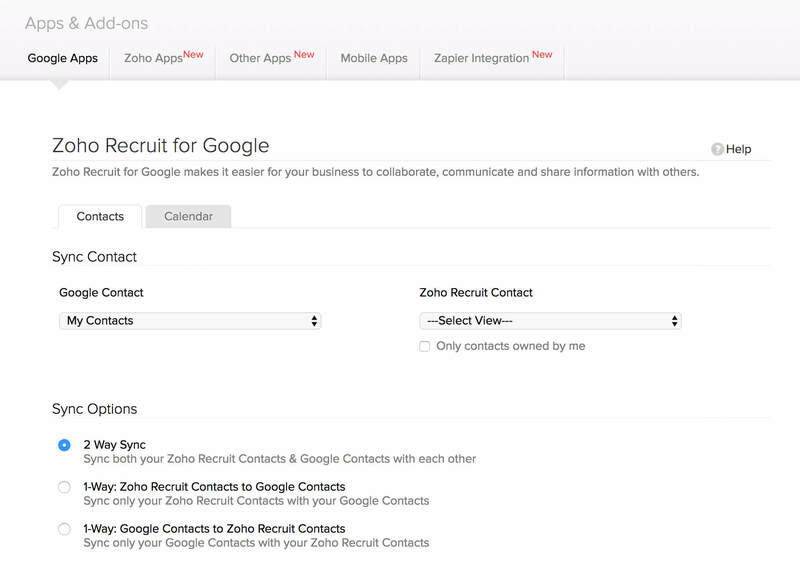 Zoho Recruit easily integrates with Google Apps so you can sync your Google Docs, Calendars, and contacts for easy business collaboration. Zoho Recruit allows seamless integrations with a bundle of other Zoho applications, that make your hiring process easy, structured and streamlined. 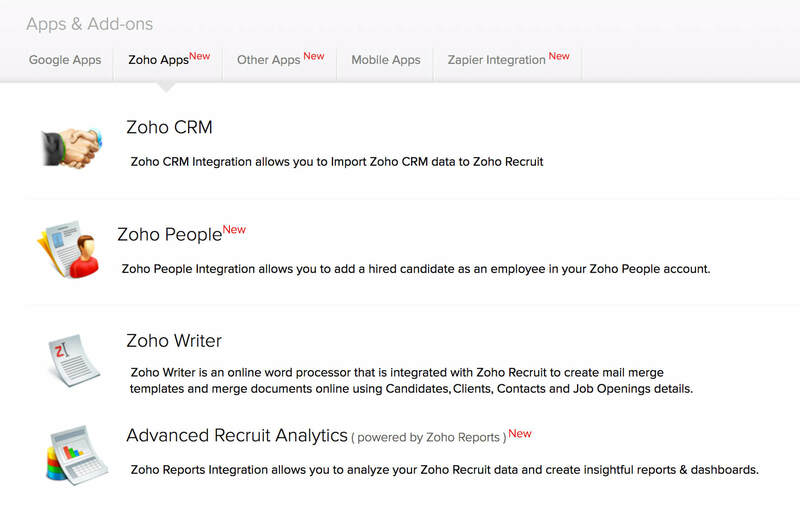 Zoho Recruit syncs with Zoho CRM so you can easily import accounts and contacts into your Recruit database. The Zoho Maill integration lets you view, share, and track emails inside Recruit so you can lose that extra browser tab once and for all. Access all of your Zoho documents with the Zoho Docs integration. And when you are hiring internally, Zoho People lets you convert a successful hire into an employee without reams of paperwork. The Zapier platform features over 500 apps in its library. 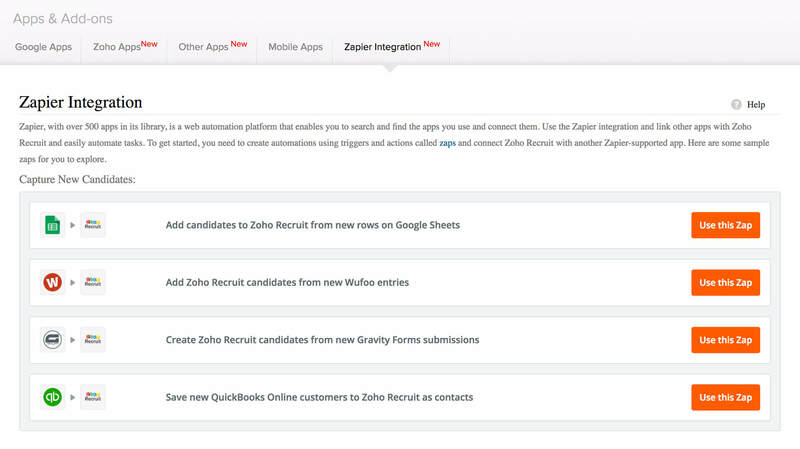 Link other apps to Recruit via a Zapier integration, and automate data entry tasks you used to do by hand.